Never Tell Me the Odds provides a granular, quantitative look at the units and weapons of Star Wars: Legion. 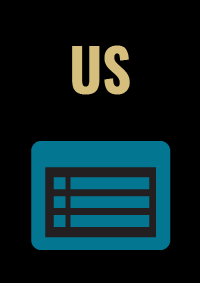 Using a dice simulator, we look at factors like dodge, cover and pierce to compile data on the probability of outcomes and the efficiency of the available unit and weapon options. Yavin Base is a blog dedicated to Star Wars: Legion news, analysis and battle reports. 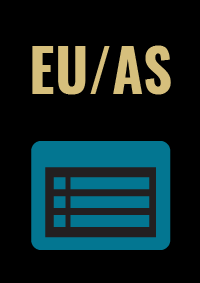 You can find coverage of the latest tournament results, information and analysis related to current and future releases, as well as articles covering strategy and tactics. Regular posts are published twice weekly. 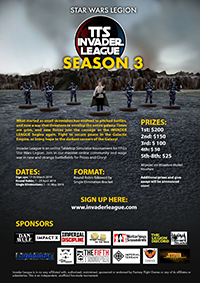 Yavin Base is proud to be a sponsor of the Invader League! 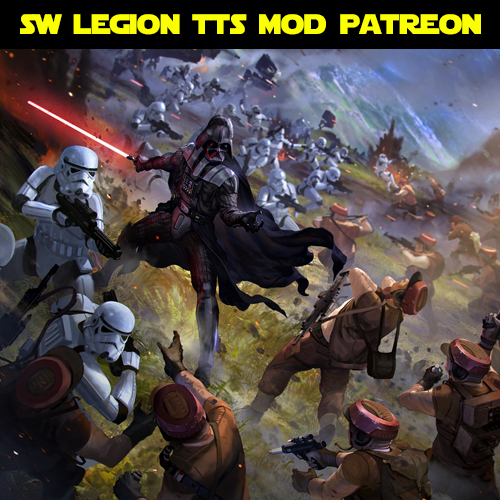 Imperial Discipline is a Star Wars Legion blog for beginners, by a beginner. 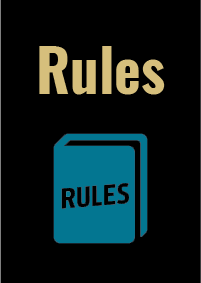 If you're trying out a new part of the hobby like designing bases or creating terrain, or even just want to learn what it takes to buy in, Imperial Discipline is the blog for you. Crabbok - YouTube videos, Star Wars Gaming, Tutorials, Reviews, Collectibles, and More! 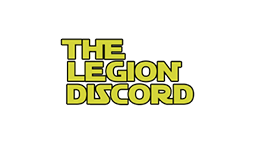 The Legion Discord is an online community dedicated to the enrichment of the hobby. We bring together a place to discuss Legion, engage with community representation, and play games through Table Top Simulator. Join us to stay connected to everything Legion! The Sunsphere Tactical Attack Brigade's podcast out of Knoxville Tennessee. Hosts Ben, Will and Ryan talk about both competitive and casual play as well as how to build a better community at your FLGS, a few painting and hobby tips and much more. Dan Wulf Games is a family owned and operated business that specializes in retailing 3D printed tabletop terrain and accessories you won’t find anywhere else. We also make custom designed 3D printed pieces for those that want a one of a kind table pieces. Terrain tells the story, immerses you onto the battlefield in which you are playing and makes the game experience almost cinematic. Imperial Terrain has been with the Legion community since before launch. We model the terrain, we play the game and we hobby it, so we know what works and what doesn't, here's to a successful Season 2 from Imperial Terrain. Corvus Games Terrain creates 3D printed immersive terrain for Legion. Whether it's the dusty and ancient streets of the Pilgrim City, or the plastcrete constructions of The Colony, let us help you create awesome gaming worlds.